Radhi are heavy, felt blankets which are commonly worn and used as floor coverings in Nepal. Stitch by Stitch's radhi collection reinterprets traditional motifs to create modern, geometric rug designs. Our radhis are hand woven in Nepal by a community of weavers and spinners. 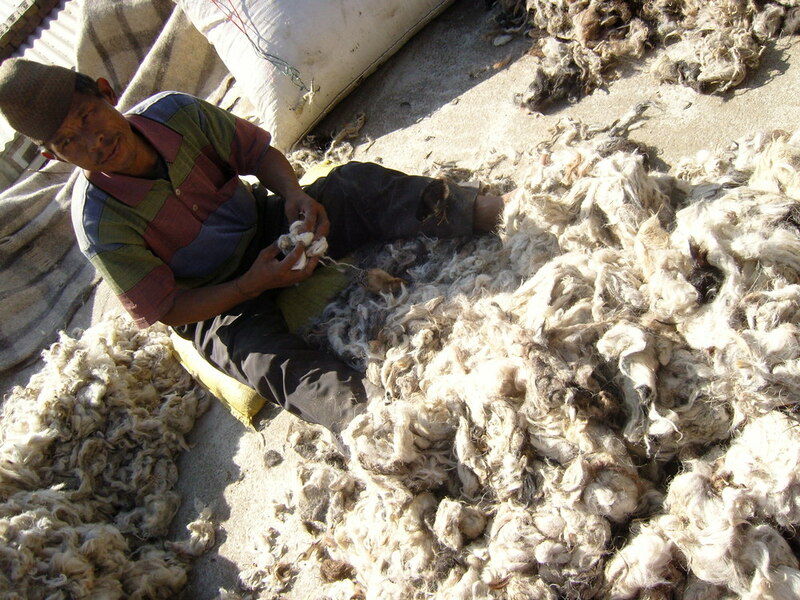 The artisans weave on traditional back strap looms, using the thick wool from their own flock of mountain Baruwhal sheep. It took us over a year to track down the weavers, with the help of SABAH Nepal, an organisation which works towards strengthening the livelihoods of marginalised, home-based workers. The thin woven strips are sewn together, and then washed in hot water which felts the wool, and brings the whole design together. We would love to have you in our address book! Join our mailing list here.